The more variety of upgrades is good when you've plenty of unapplied upgrade but this type of SS is better for those warlords that have maxed out their regiments. 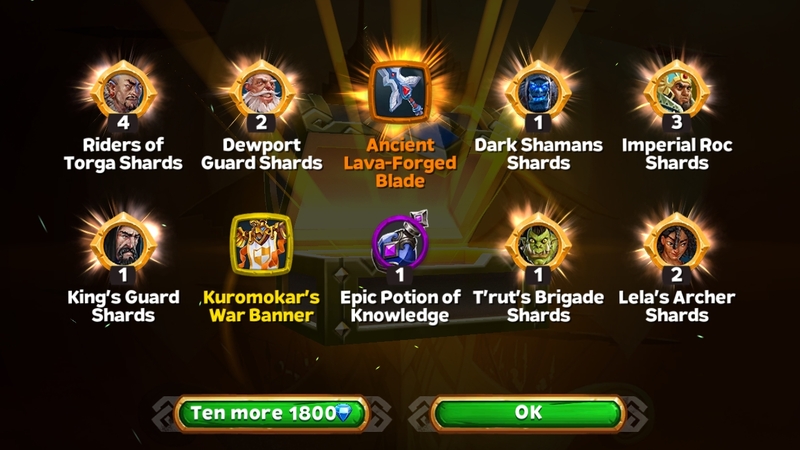 Kind of disappointed with this one, but oh well can't get lucky every time. It takes super long to farm Diamonds when you barely touch PvP. The imperial ship gave me 150k gold x3 today, it suppose to be 450k but i only received 300k, still great tho. Didnt even know it give so much gold.